UPDATE 22/01/2016: Workaround for this published by BI a while back, have redocumented and posted here. Community post on setting up Power BI’s Personal Gateway to run as a service account. 1. Setup an account in your Active Directory Environment with the below credentials. 2. 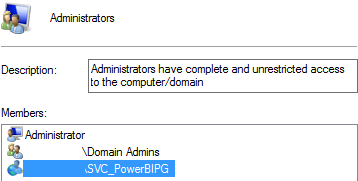 Once the account is setup, add the user to the administrators on the server which you are going to install the Power BI Personal Gateway too. 3. Assign the account any relevant permissions to data sources. 4. Assign the service account a Power BI Pro license and mailbox. (This will take some time to set everything up). Note: It requires a mailbox as Power BI will email the account if any schedules stop working. 5. Optionally – Set a forwarder on the mailbox to an account which will monitor for failures. UPDATE 22/01/2016: Workaround for this published by BI a while back, have redocumented and posted *** here ***. 1. 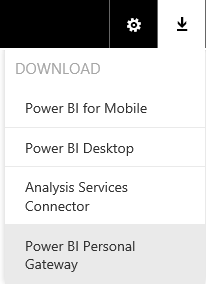 Sign into Power BI and download the Personal Gateway. 2. Sign into the Server as the Power BI Service Account, then install and configure the portal as normal. This is so great. Thanks for setting this up. Works perfectly. Hi Elliotstan, pleased you liked it :). Did you see note on the top with updated solution? Hi, Have used the top solution. Had to reinstall again this weekend due to the updated personal gateway seeming to kill the old install that was working. All worked again though. I have referenced your post a few times in the PowerBI forums as its such a good idea. Cheers again.